You’re here because you potentially want to check out professional wedding photographers in Invercargill and Southland who will be the perfect fit for your upcoming wedding. Well, you’ve come to the right place! My name is Jordan and i’m a professional wedding photographer with Nostalgic Photography who loves being a part of every couple’s special day! From ceremony photography through to reception photography and every unmissable part in between; I can do it all! and the perfect locations for your wedding photography. Here are a few businesses and locations that have stood out to me while doing wedding photo shoots. Hawthorne Gardens is an impressive wedding venue in Invercargill for a number of reasons. Not only is it a stunning spot for a wedding, but it also provides accommodation for you and your wedding party the night before your wedding. Aside from waking up in a magical garden, you’re also treated to the convenience of having your belongings in one place, and booking your hair and makeup professionals to come to you! When you choose to stay at Hawthorne Gardens, you are treated to warm hospitality from Heather and Ian, both who thrive on people enjoying their gardens. Hawthorne Gardens boasts an indoor and outdoor option for your ceremony, as well as a cute little bar for your after-ceremony nibbles! I love using the gardens for wedding photography because there are many different types of walkways and props along the way. When it comes to wedding photography in Invercargill and Southland, this is one of the best locations I have found! It’s unique in the sense that it makes you feel you are far from the hustle and bustle of Invercargill, yet the 15 minute drive makes it a very manageable location for your wedding ceremony. The chapel is a great backdrop for your Invercargill wedding photography, plus the venue also has some hidden treasure around the gardens. When you are considering a wedding venue, make sure you ask yourself if it will be suitable for your wedding photography. The more time you can save in travelling is more time we can be taking some stunning Southland wedding photographs! The Abbey is definitely a useful place for this and and will provide some surreal backdrops for great photo album quality photos. The Hideaway really does tick all the boxes for a full wedding venue in Southland. Catering for your wedding ceremony, drinks and nibbles, and even your reception, it really is the perfect wedding venue. The Hideaway also offers exceptional spots for your Southland and Invercargill wedding photography. Whether you’re having ceremony photography taken, or you’ve hired a professional photographer for your wedding photography. The Hideaway has some great backdrops on offer. It also has gorgeous gardens to explore and their impressive permanent marquee will not disappoint you as far as size and style goes. wedding day is just how you had imagined. The Catlins, Riverton and every piece of land that I spot on the way! Sandy Point has everything to offer for your wedding photography in Southland. The backdrops include natural walking tracks, pine forests, fields and a river. When using a spot like Sandy Point for your Invercargill and Southland wedding photography, you can look back on a wide range of different photos without having to drive to too many locations. Sandy Point is also just a five minute drive away from Invercargill which keeps things very handy! If a nice clear beach and an often colourful sunset is what you would like to see in your wedding photography then Oreti beach is definitely the place to go. It is close to Invecargill and other wedding venues and makes for a nice wee trip with your bridesmaids and groomsmen for your creative wedding shoot. It also has some very large sandhills which I love to use in my wedding photography for a light and natual look to your photos. As an Invercargill professional photographer, I feel privileged to have settings such as Oreti Beach right on my doorstep for the benefit of my clients. Anderson Park seems to create a very clean and clear look to wedding photography. It has very well-kept gardens and fields but also has some more overgrown bush to change the photography up a bit. Anderson Park is on the way to Hawthorne Gardens and The Hideaway so again, you are using your photography time wisely by utilising these amazing locations. If you have planned for more time in your photo shoot, the Catlins is where you will find unique coastal backdrops for your wedding photography. Some of the views are incredible and you really wouldn’t find them anywhere else in the country. The Catlins also has the RiverRidge Retreat which is a popular wedding venue and can take care of your whole wedding including accommodation for your guests..
Southland has a wide range of wedding bands and DJs available. Here are a couple that I fully recommend to suit everyone’s taste. Your wedding entertainment is very important and who you choose to look after it needs to be able to understand your taste and what would suit best for your wedding reception. A wedding DJ is the best option for if you have a wide taste in music or your aren’t quite sure what you think would work best. A skilled DJ will be able to read your crowd and balance out the music for the night. From background music for dinner through to microphones for speeches, first dance and of course the party at the end of the night; a DJ can offer so much to your special occasion. Nightlife DJs will take requests and can also plan special songs you choose to be played throughout the night. If you’ve decided to opt for a band as your wedding entertainment of choice – The Flaming Moes are a great choice. The Flaming Moes have weddings perfected - from slow dancing music to upbeat sing alongs. Planning the little bits and pieces for a wedding can be fun with the right creative people involved. You can share your vision and they can bring it to life with large collections of props. 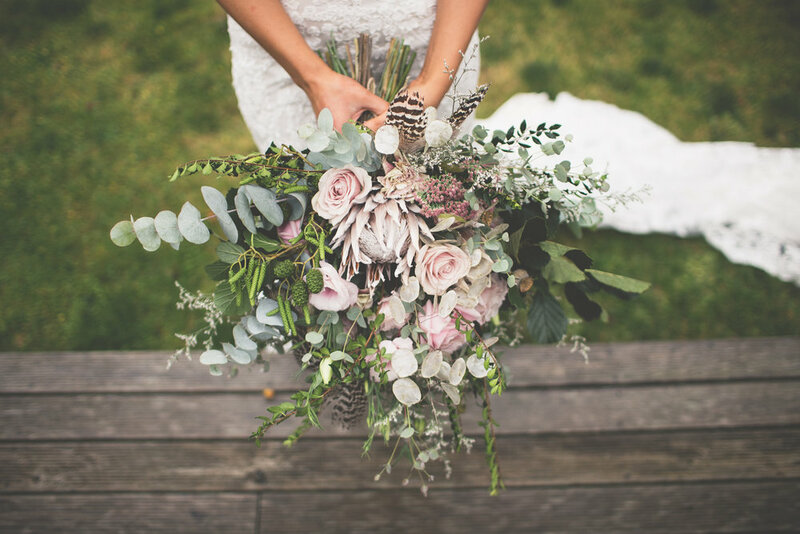 These two wedding hire businesses have gone above and beyond in many weddings I have been a part of and I happily recommend their amazing services. If you are looking for something with character and charm for your wedding decorating and hire, get in touch with Steph from Love & Good Co. Her caravan is something I have fallen in love with and her styling capabilities are like nobody else I have seen! She will set up the caravan and serve your choice of beverages from it before and after your wedding ceremony. If you are in need of some extra entertainment for after your ceremony to keep your guests full of laughs, she has the the best giant lawn games which are fun and look amazing laid out at your ceremony. Steph knows how to naturally style a wedding ceremony, keeping it minimal but very effective and artistic. I am amazed with her efforts and passion for weddings and would love to book her myself. Plants Plus provide a well thought out spread of lighting, plants and decorative features for your wedding reception. They are an experienced husband and wife team who have been to countless weddings and make any wedding reception venue feel like a beautiful work of art. You can work together with Plants Plus and share your perfect vision for them to create. As an Invercargill and Southland based professional wedding photographer, I pride myself on offering the ‘real deal’ when it comes to wedding photography in Invercargill and Southland. We are blessed here in the deep South to have a range of stunning venues and photo shoot locations right on our doorstep. From Queens Park and Anderson Park through to the natural treasure chests in Otatara, there’s so many great locations for wedding photography. We are also super lucky to have some great venues that are not only luxurious, elegant and special, but provide the best photo opportunities as well! 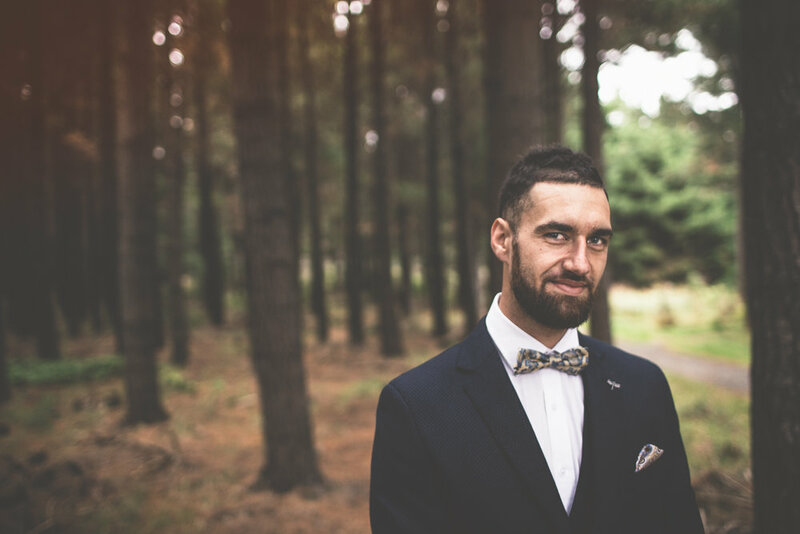 When you’re looking for a professional wedding photographer in either Southland or Invercargill, you want to make sure whoever you choose is the right fit! I pride myself on being friendly, energetic and creative; all the necessary points to make up a professional photographer. Whether i’m shooting ceremony photography, the cutting of the cake, the first dance or the overall wedding, I do it with a friendly and chilled manner to make your day that little bit less stressful! You also need to know your stuff, otherwise you can’t capture the true, raw essence of happiness, love and laughter – all vital in professional wedding photography. What makes an Invercargill and Southland professional wedding photographer? When you’re looking for the best photographer in Southland or Invercargill, you want to be sure they know their stuff! This includes knowing all those hidden wee spots that create truly magical photos, and knowing the best venues in Invercargill and Southland for not only photography, but your wedding as well. Because I’m an Invercargill-based wedding photographer, I’ve got a great repertoire of places that create magical wedding photos for your treasured albums. If you’ve got any preferred locations, I’d love to hear them! Together we can snap those perfect shots you’ll be proud to give out to your family and friends. You also need to have a connection with the couple getting married. This is an important part of what creates the best wedding photographer. 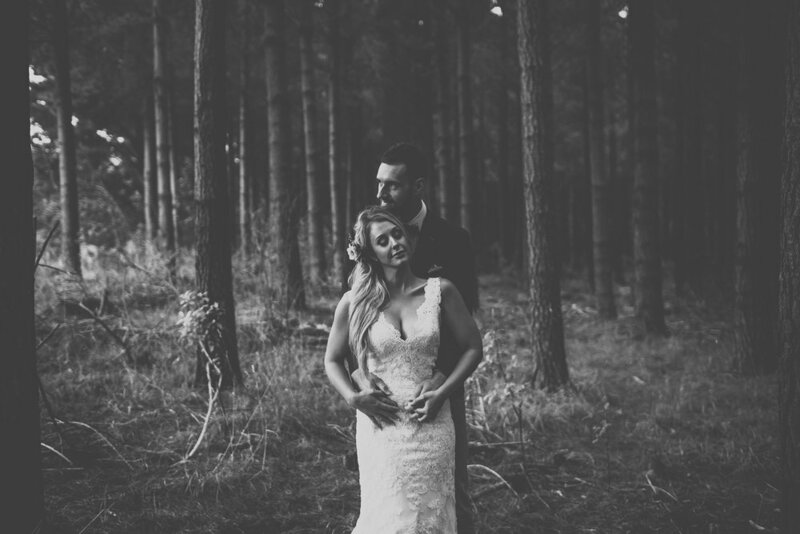 If your clients can’t be comfortable with you, it doesn’t create the best wedding photography! I’m friendly, personable and I love to have a few laughs along the way! This is a winning recipe in my books!